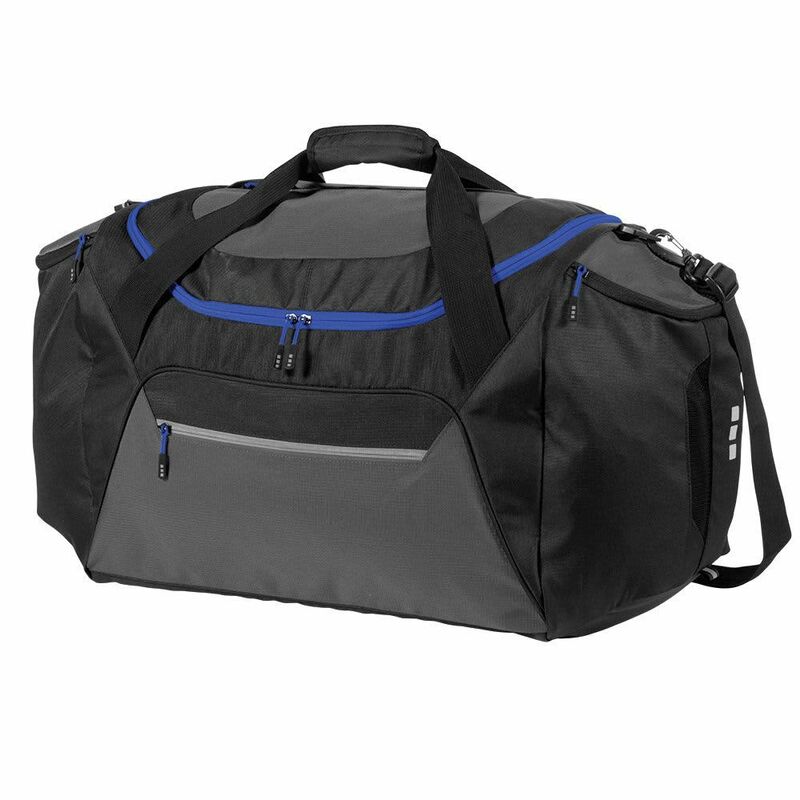 This is a good quality travel bags which can fit in all of your gear while on the move. This travel bag when branded with a full colour print will make a very popular promotional bag. Great for conferences, travel industries and sports. 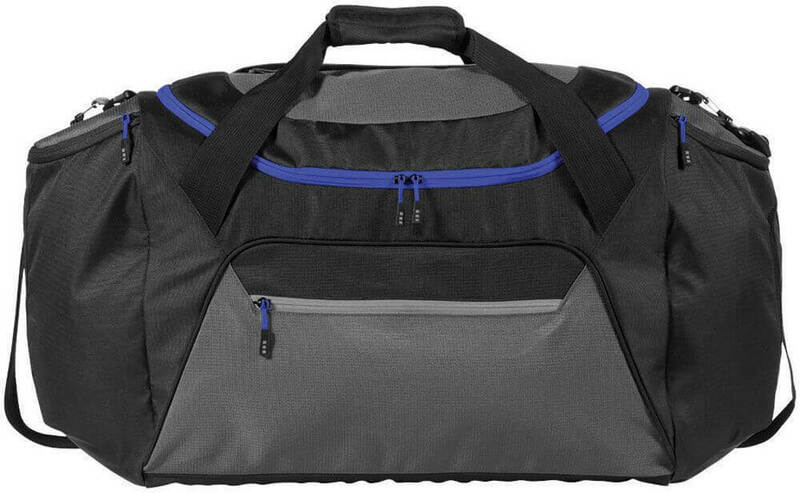 Exclusive design large travel bag with adjustable shoulder strap. 2 large side compartments, big front zipped compartment and zipped pocket on top. Made from 600D polyester and 600D ripstop polyester. 600D Polyester and 600D Ripstop Polyester.